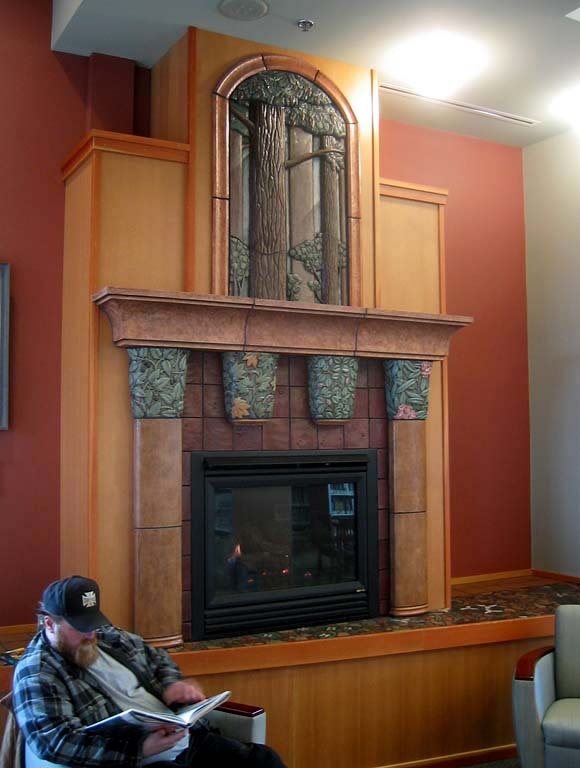 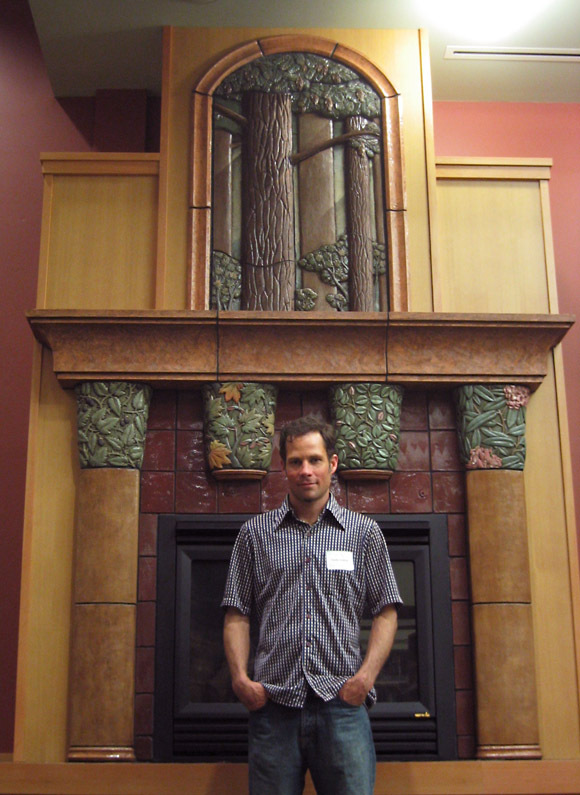 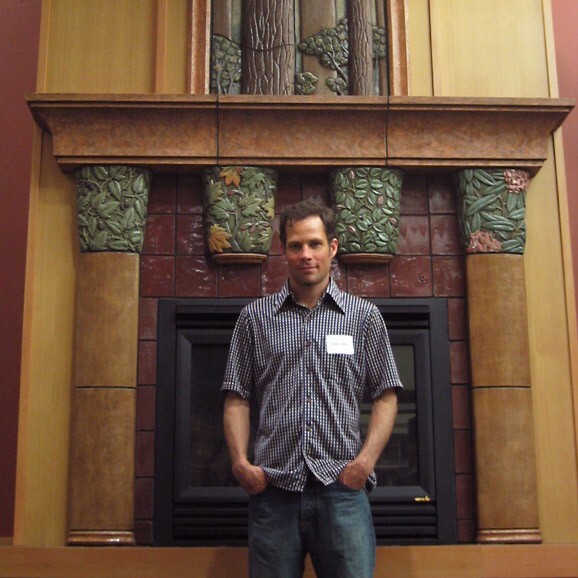 This series of sculptures was commissioned to surround the fireplace hearth in the reading area of the newly built Snohomish Public Library. 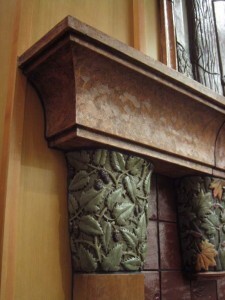 The sculptural elements (the hearth, tiles, mantle, columns, capitols, and bas relief) are all made of architectural terra cotta and colored with slips and glazes. 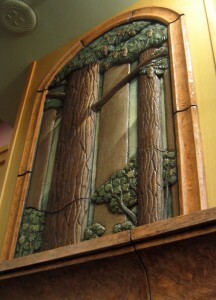 The surrounding woodwork was also designed and fabricated as part of the artwork. 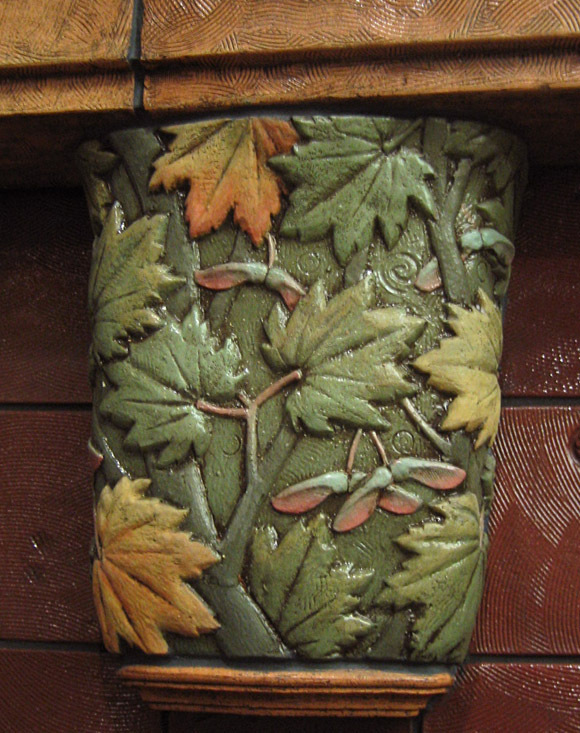 The imagery is based on the native plants of the surrounding forest, which has been an important feature in the history of Snohomish County. The location of the plants within the forest is reflected in their placement at the fireplace surround. 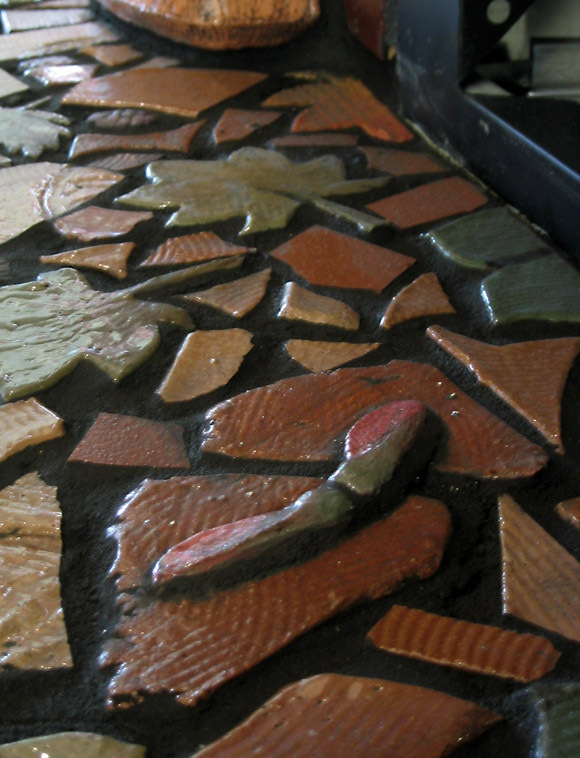 At the bottom (on the hearth) is a mosaic depicting fallen leaves, bunchberry, a vine maple seed, and other forest ground cover. 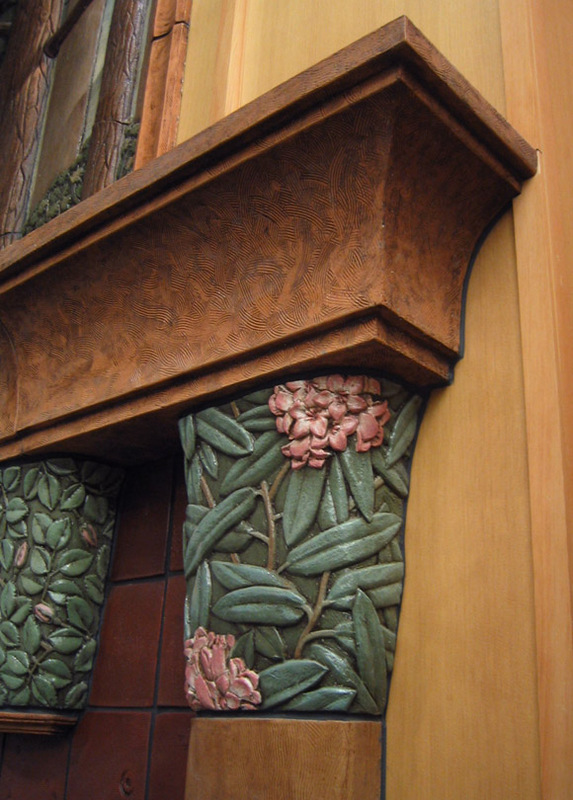 At the middle of the fireplace surround are column capitals with images of mid-level shrubs and trees such as trailing blackberry, vine maple, pacific rhododendron and Nootka Rose. 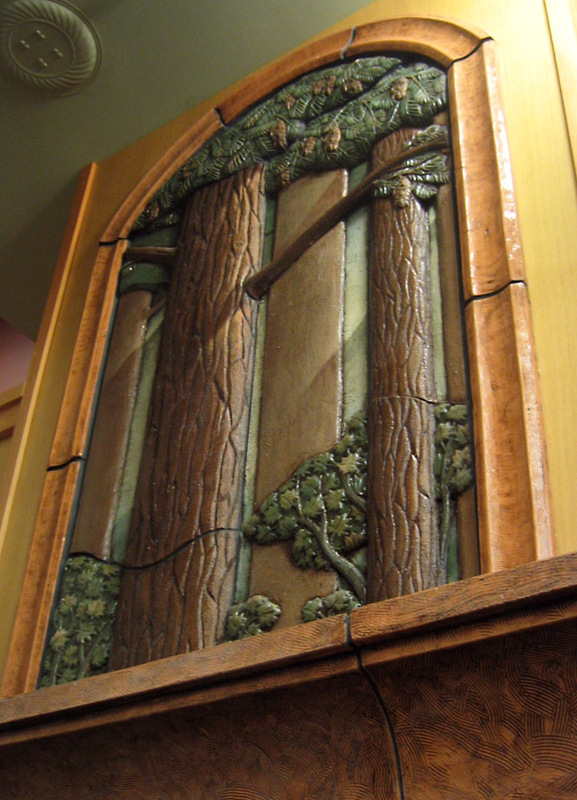 At the top of the fireplace is a bas-relief carving of the upper story Cascade forest, with the trunks, branches, and cones of Douglas Fir. 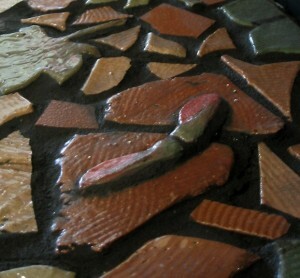 In front is the artist, looking rather smug.